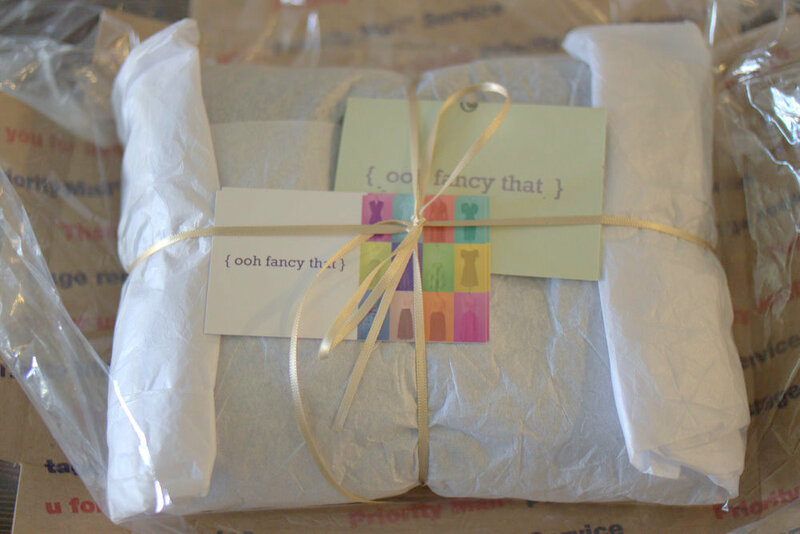 OOH FANCY THAT: .. OFT packaging ..
We love our OFT shoppers, and we want to make sure that the shopping experience is wonderful from start to finish!! 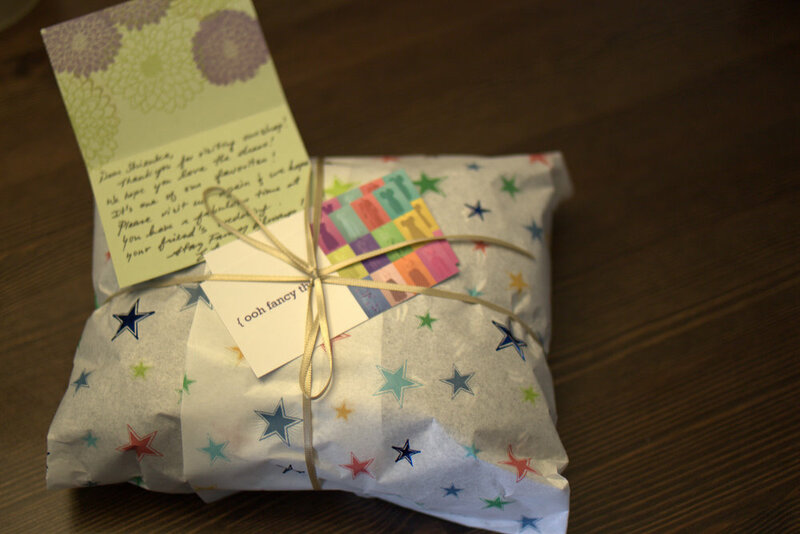 I love the experience of getting a package in the mail and opening it up to find a nice surprise inside, so Esther and I have made an extra effort to make things wonderful for all of you. 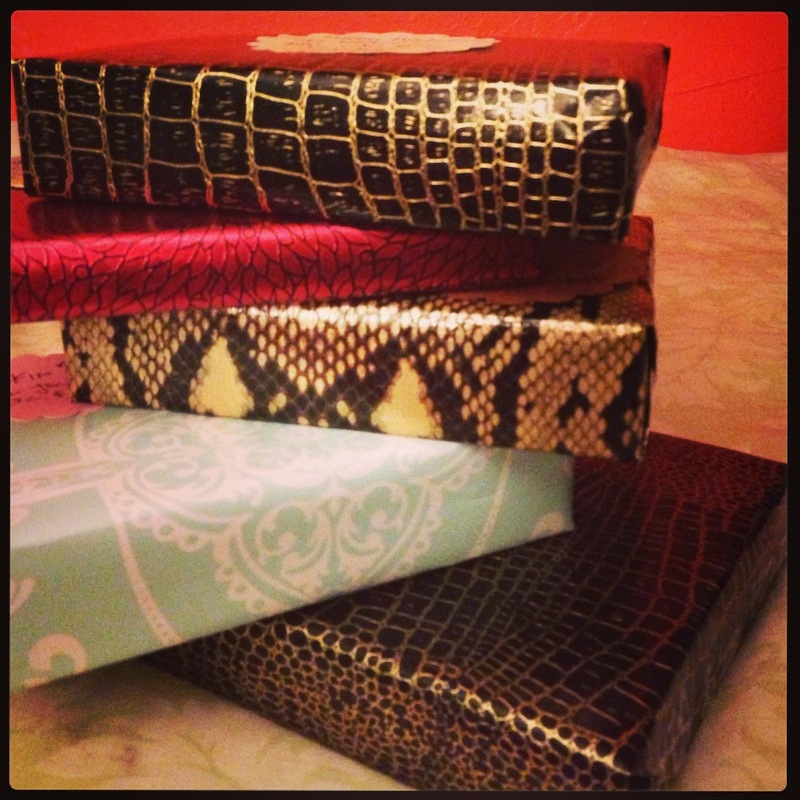 Take a look at some packages that Esther has put together recently. Love!! 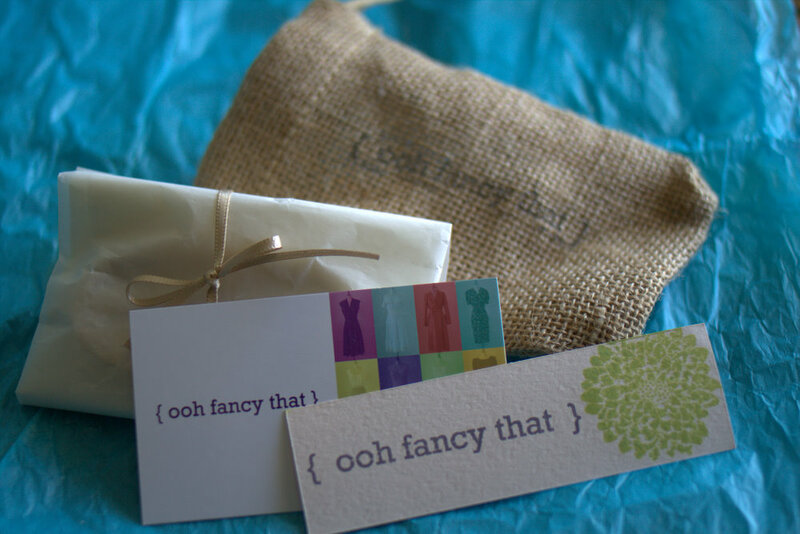 Also, if you buy one of our jewelry pieces, then you'll get a cute jewelry bag, too. P.S. | Hopefully, you get Esther putting together your package for you. She's much more meticulous with the wrapping than I am! 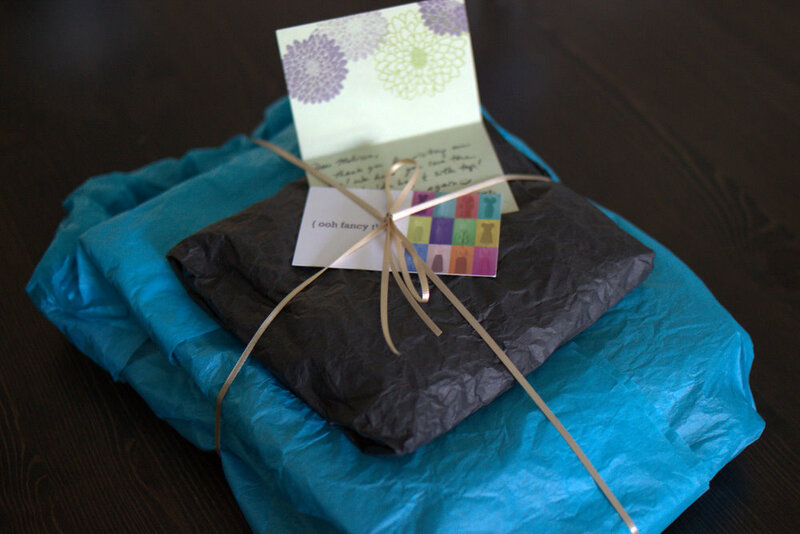 P.P.S | We'll be happy to take scrap pieces of tissue paper and ribbon off your hands! !